In this final section of the interview, John Zuern responds to our prompt “the future of life writing in relation to…” and shares his thoughts on curation, post-humanism, interfaces, land, and unsettling. For this third and final part of our interview series with John we had a keyword exercise similar to what we find in American/cultural studies. The idea behind this format is to generate an associative response focused on where the field might be heading in terms of scholarly methods, approaches and questions, as well as how creative life writing practices are shaping the discourse. Like the preponderance of visual modes of representation in social media, the phenomenon of curation as a form of self-representation challenges conventional disciplinary conceptions of a “text” and the corresponding methods of reading and interpretation, so it’s a very fruitful domain for life writing scholarship. I know Laurie McNeill is working on Pinterest and similar sites—she presented some of it at MLA in 2013. Curation is a kind of performance, as you suggest, insofar as meaning comes more from what curators do than from what they say, and the performances are sometimes captivating and even addicting. I admit that I check Twitter pretty much every day to see what Maria Popova’s Brain Pickings has on offer. One of her tweets once directed me to a scan of the program for the 1937 fiesta celebrating the opening of the Golden Gate Bridge, which I passed along to a friend of mine, the artist Allyn Bromley, who attended the event as a little girl. The semiotic dimension of such work is fascinating: the curated material serves as an index of the consciousness and values of the curator, functioning along the lines of the implied author in a work of fiction. My sense of Popova as a person to whom I’m often grateful is almost entirely virtual, a composite of my inherences about the rationale guiding her choices. Other curators are more vigorously self-revealing and self-promoting. Colin Wright’s book Curation is Creation captures something of the aesthetics and ethics of the practice as well as the self-branding that sometimes accompanies it. I’ve already mentioned Foster Huntington’s book The Burning House, which started out as a Tumblr site on which people posted still-life photographs of their most beloved belongings along with little explanations of their significance. In the book, Huntington composes a selection of these explicitly autobiographical acts of curation, enacting a kind of biographical meta-curation as a well as a kind of commodification. I’d like to try to sort through the complex of economics, ethics, aesthetics, and semiotics Huntington’s project represents, because I think The Burning House, even though it winds up in a print format, is emblematic of many of the dynamics of contemporary social-media-driven self-representation. Two recent special issues of Biography come immediately to mind here: “Life Writing and Corporate Personhood” (2014), co-edited by Laura Lyons and Purnima Bose, and “Life in Occupied Palestine,” co-edited by Cynthia Franklin, Morgan Cooper, and Ibrahim Aoudé, which will be released in the next month or so. The legal category of the “person” has become alarmingly capacious and flexible, at least in the United States, as the 2010 ruling in the case Citizens United vs. the Federal Election Commission has shown, and the essays in Laura and Purnima’s issue explore the philosophical and political implications of this extension of the rights to which persons are entitled to corporate entities. Working within a wide range of contexts, the contributors to this issue suggest how life narratives—of individuals, communities, and corporations alike—are caught up in that process, at times reinforcing the ideology of corporate personhood and at other times seeking to undermine it. The concept of “person” as a bearer of rights also comes into play, of course, in the many life writing projects that have intersected with the discourse of human rights, of which Sidonie Smith and Kay Schaffer’s Human Rights and Narrated Lives: The Ethics of Recognition (2004) and Meg Jensen and Margaretta Jolly’s edited collection We Shall Bear Witness: Life Narratives and Human Rights (2014) are prime examples, as is Cindy Franklin and Laura Lyons’s 2004 Biography special issue “Personal Effects: Testimonial Uses of Life Writing.” Each of the contributions to “Life in Occupied Palestine,” in its own way, speaks to the question of who counts as a “person” in a political context in which the distribution of rights and privileges within a population is radically asymmetrical. How does the status of “citizen” map onto the status of “person” or, for that matter, “human?” How does the state’s assignment (or denial) of an identity to an individual affect that individual’s lived experience, in terms of movement, access to resources, and security, but also in terms of self-concept, allegiance to community, and political outlook? Looking at how the notion of the “person” emerges in these two discourses (of corporate personhood and human rights) is instructive for scholars of life writing because it augments the concept of the “subject” as a matter of interiority, embodiment, psychology, affect, and thought with the concept of the subject as a matter of law and public policy. Taking this perspective might point researchers to documents they might not otherwise consult, and it might well raise the moral and political stakes of their projects. I think the “post-human” has been catalytic for the field, just as “personhood” has been, as a means of shaking up our ideas of what it means to be a subject and what it means for subjectivity to be represented, embodied, and/or activated in this or that material structure and/or semiotic system. Anyone interested in how the field of life writing studies has been taking up the discourse of the “post-human” should look at the 2012 Biographyspecial issue on that topic co-edited by Gillian Whitlock and G. Thomas Couser. From Louis van den Hengel’s “Zoegraphy” to Cynthia Huff and Joel Haefner’s “Animalography” to Leigh Gilmore’s “Agency Without Mastery,” this issue is packed with new concepts that rework the basic assumptions about life and representation that have shaped the field of life writing studies. The authors also demonstrate the innovative research and reading practices that are necessary to support their groundbreaking concept-construction. Post-human approaches in life writing studies almost always demand some kind of interdisciplinary outreach. Just as I was suggesting earlier that the field could interact more with the social sciences, it seems we can also find inspiration in the natural sciences. For example, it seems to me that recent research on the contribution of the human microbiome in an individual’s physical health, emotional equilibrium, and possibly even consciousness have potentially powerful implications for the conceptions of subjectivity currently circulating in life writing scholarship. Recognising that a significant component of an individual’s “life” is composed of myriad other relatively autonomous living things poses yet another challenge to a model of a sovereign self, and at the same time it opens up a new conception of “relational identity.” Along these lines I can imagine a “biomeography” that attempts to take account of the interior ecosystem and its effects on lived experience. The challenge, I think, is to remain as true as possible to the science as we bring its findings into our own critical discourses, thinking through the real implications of the data as such rather than turning it into appealing but potentially misleading metaphors. I see that “Unsettle” is the theme for the upcoming SNS roundtable at the inaugural IABA-Asia/Pacific conference in Adelaide later this year. If I’m interpreting that title correctly, you’ve chosen a theme that will resonate with many researchers working in Australia, Canada, South Africa, the United States, and other parts of the world where histories of colonialism, settlement, and displacement continue to shape individual identities and social relationships in the present day. I think life writing studies can go a long way in helping us understand these ongoing and often fractious cultural dynamics by attending to the contours of stories of belonging, not-belonging, migration, exile, banishment, and all the other human experiences of being connected (or not) with places. “Unsettle” would certainly resonate for many of us here in my department at the UHM. The value of the model of settler colonialism as a means of interpreting not only the history of Hawaiʻi but also present-day cultural and political life in the islands is one of the things we genuinely and at times passionately argue about. In my view, the native/settler dichotomy in places like Hawaiʻi really does exist and needs to be acknowledged, but if it gets simplified, reified, and dehistoricized, it turns into a source of anxiety and resentment rather than a spur to creative research and reflection. One of the many things I admire about my colleague Paul Lyons’s work, in his book American Pacificism (2005) and elsewhere, is his commitment to thinking about friendships and collaborations across lines that we might automatically see as impermeable and defined solely by hostility. One of the most difficult questions in regard to place-based scholarship is whether certain projects are off limits to certain people simply because of who they are. For quite some time I was repelled by the suggestion, because it seemed so essentialist and flew in the face of my conception of academic freedom. While I’m still not entirely comfortable with the idea, over the years, in conversations with many of my colleagues, I’ve come to the position that what’s most important is that scholars be honest with themselves about whether they know enough (and have the time and capacity to learn enough) to pursue their projects responsibly. Doing their homework by no means solves all the ethical and political questions that might arise, but honestly sizing up the task, in consultation with people inside and outside the university who have a stake in the topic, might point toward ways to shift and scale and scope the project to make it possible and appropriate for them to do. They might also decide they can’t do it, and in some cases that might actually be because of who they are, but at least by then it won’t be a foregone conclusion. 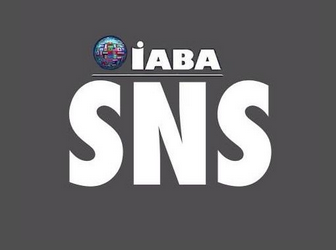 The SNS would like to note that “Unsettle” is the topic of our 2015 series of roundtables in IABA chapter conferences. We have “Unsettle” roundtables scheduled for the Americas and Europe conferences. An Unsettle roundtable has not yet been finalised for the Asia/Pacific conference. Even though I find it hard to avoid when writing about electric literature, I’ve gotten kind of tired of the word “interface” and a little suspicious of the assumptions that sometimes come along with it. It seems to have an innocuous, all-purpose utility, something like “text,” but in some critical work on digital media, especially by critics who embrace some version of “machine cognition,” I see it standing in for a conception of human-machine interrelationships that strikes me as verging on fetishism. What gets lost, I think, is a recognition that every component of the system with which one is interfacing has been planned and assembled by other human beings, and even though sometimes the programs running on the system can take on an apparent autonomy and agency, as do the trading algorithms used in the financial industry, the parameters within which they operate have been laid down by this or that interested party. As I said earlier, one of the theoretical advantages I think life writing studies has within the domain of digital culture is its long-established focus on the mediating operations of the discourses within which people construct and disseminate their stories. Just as no memoir gives us a transparent window on the memoirist’s experience, no interface gives us seamless access to the information or the experience we’re seeking. Both are embedded in complex social relays of networks of power. Whenever we engage with an interface, whether it’s Facebook or the switches on the Vitamix, we’re entering into relations of production and consumption with other people, and those relationships are rhetorically channeled through a system of signs organised into a discourse. I’m pretty much saying about interfaces what I said at the start about selfies (that we need to figure out disciplinary and disciplined ways to read them), so this seems like a good place to stop.